Fermentation can be funny sometimes. Same ingredients, same process (or so it seems), and yet different results. Fortunately, “different” seldom means “ruined.” But it requires us to think creatively or adjust expectations. So my curds separated from my whey in my dairy ferment. Ruined? No, certainly not. Cheese? Well on its way! Milk is just a colloidal suspension (specifically, an emulsion) of proteins and fats in water. Under certain conditions (such as acidification), these different components can separate out. In this case, the physical process of separation involves the denaturing (curdling) of proteins, causing them to tangle and gob up with one-another, and the production of carbon dioxide, which then gets trapped among the now-solid proteins, causing them to rise to the top of the vessel. Shaking or stirring typically disentangles and redistributes the proteins, releasing the trapped carbon dioxide as well. In my experience, the separation tends to happen when acid-producing strains become dominant. There’s a rhythm to backslopping, so the frequency with which you use and renew the culture also affects its behavior (people who work with sourdough tend to understand this principle). I would consider frequency a fourth variable for us to keep in mind, alongside ratio of starter used and temperature and time (as displayed in the video). If I’m making a rennet-free kefir or yogurt cheese, then I want the curds to separate from the whey, as the video portrays. This involves minimal disturbance so the proteins can tangle together and form a gel-matrix. I can then further drain and salt and press and age the curds into cheese, depending on the type of cheese I want. However, if I want my dairy ferment to stay smooth and creamy, then I’ll shake and stir it periodically as it ferments, or try making several smaller batches in rapid succession and use a smaller ratio of starter:total volume than normal to rebalance the microbial community. Learning these subtleties takes fermentation and our relationship with the wonderful micro-organisms who preserve our food and nourish us to a whole new level. It involves a dialog betwen us and them. “Ok, this is what I want, what do you need to help me produce those results?” We think of the industrious little critters less as slaves and more as coworkers and colleagues, and ultimately giving us better food and better emotional results (including less stress!). This post started as a follow up and embellishment of Donna Schwenk’s response to a confused customer’s questions. I respect her for trying to troubleshoot problems based on 3rd party descriptions. I wouldn’t. Too many variables and…ever played a game of telephone? This brings about another reason for why Saueressen exists: to provide real-world community-based expertise. We need to talk directly. We need to workshop food security in the same room, compare notes as we observe the same problems and processes. 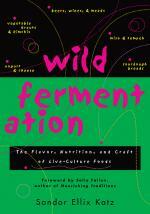 This is the next level of the fermentation revolution. We have tons of internet experts. Saueressen will contribute its small part. But the we need now, more than ever, solid and rigorous community-based expertise. Just like deli’s dot the map across the continent, Saueressens (and artisan co-ops like them) should find their niche in every community where moderate interest in food fermentation exists. This entry was posted in Making Ferments, Why Saueressen? and tagged Donna Schwenk, emulsion, kefir, milk, sauercheese on July 14, 2015 by ozob. SauerKnowledge by Saueressen LLC is licensed under a Creative Commons Attribution-ShareAlike 4.0 International License. Permissions beyond the scope of this license may be available at https://saueressen.com/contact-saueressen/.